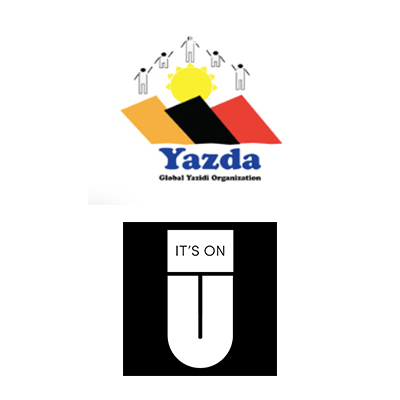 Are you an employee of Yazda & It’s On U? Yazda’s mission is to support the Yazidi community in the aftermath of the August 2014 genocide, committed by the so-called “Islamic State”, that resulted in the death of 3-5,000 civilians; abduction of 5-7,000, mostly woman and children; and the displacement of 400,000 people from the Yazidi homelands in Sinjar, the Nineveh plain, and Syria. They are supported by Its On U in lobbying heads of state to recognize the genocide and encourage the UN Security Council to refer the case to the ICC.